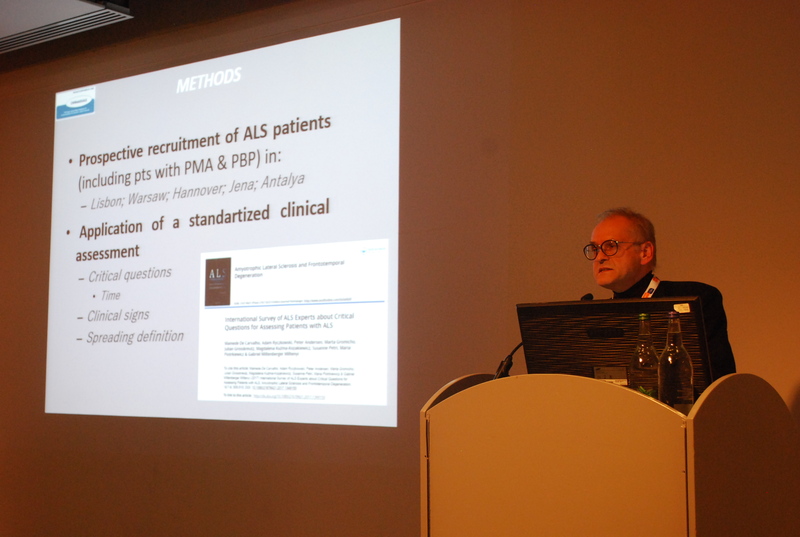 On Thursday December 6th, the ENCALS satellite meeting was held prior the 29th International Symposium on ALS/MND in Glasgow, UK. The goal was to discuss international collaborations, SOPs and translation of new developments to the clinic. Chairman of ENCALS, Professor Leonard van den Berg kicked off with an update on the expanding network. Every year, more centres join ENCALS and more participants attend the annual scientific meeting. Professor Philip van Damme followed with an update on the status of writing the EAN Guidelines. For six research questions, recommendations have been finalized. With more recommendations following mid-2019, the guidelines are getting closer to being finalized. Professor Julian Gold from the Albion Centre in Australia presented an update on The Lighthouse Project. This project studies antiretroviral therapy for ALS. At the moment, a phase IIa study is set up is starting to test safety and tolerability of Triumeq, a combination of three antiretroviral drugs. Lighthouse II will have an innovated trial design, selecting patients using the ENCALS survival model, which hasn’t been used before. 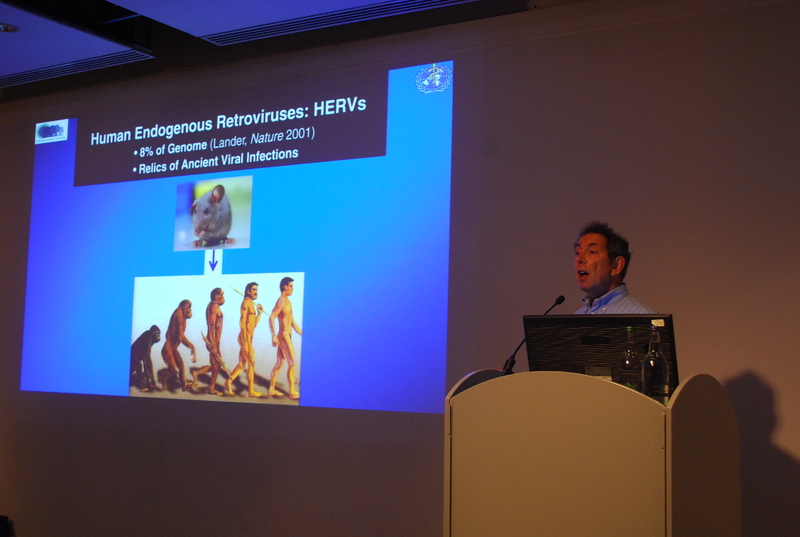 In the future, the effect of Triumeq on retrovirus HERV-K, ALS-FRS-R slope, and survival will be studied. Next presenter was Esther Kruitwagen – van Reenen, who works at the rehabilitation department of the UMC Utrecht in The Netherlands. She presented the experiences of patients and professionals with personalized ALS/MND care through e-health. Patients are being monitored and coached via a new e-health application, to provide care at distance while retaining care quality. This application enables individualized care and decreases the burden of hospital visits. Esther Kruitwagen displayed the ongoing process of development, implementation and evaluation of the application. Overall experiences of both patients and professionals are very positive. Feedback includes an increased sense of reassurance, an increased efficiency during consultation and an improvement on the timing of interventions and information. 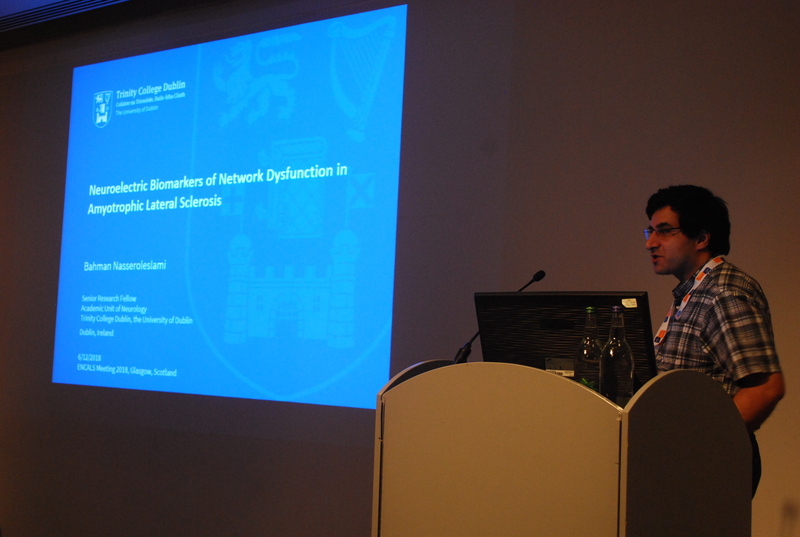 Bahman Nasseroleslami from Trinity College Dublin in Ireland presented his work on neuroelectric biomarkers of network dysfunction in MND. The aim of his work is to characterize and quantify disruption in motor and non-motor networks in MND. Using different neurophysiological measures and neuroelectric signal analysis, he found a presence of a characteristic neural communication impairment in the brain networks in MND/ALS. His results show that neuroelectric signals are potential biomarkers for different dimensions of a multi-network neurodegeneration and patient stratification. Longitudinal tracking of network impairment could potentially be a prognostic biomarker of efficacy of new therapeutics. Professor Mamede de Carvalho of the Institute of Molecular Medicine in Portugal showed some results of the OnWebDuals consortium on disease spreading in ALS. After bulbar onset, the cervical spinal region is affected the most, not influenced by predominant UMN vs LMN involvement. After cervical onset, the lumbosacral spinal region is affected the most, not influenced by right vs left side. After lumbosacral onset, cervical spinal region is affected the most, not influenced by predominant UMN vs LMN involvement. However, in the UMN group, patients tend to have earlier bulbar involvement. Lastly, there is a strong link between FTD development and UMN involvement of the bulbar region. Next presenter was dr. Christian Lunetta from the NEMO Clinical Centre in Milan. He presented results from the Italian MND Study Group on experiences with use of Edaravone. The EDARAV-ALS study is a retrospective observational study, based on data obtained from patients treated with Edaravone. In the first six months, no apparent effect was found on disease progression and respiratory function in ALS patients treated with Edaravone, compared to control data from PRO-ACT. Professor Nigel Leigh, on behalf of the MIROCALS Consortium, presented the challenge of recruiting newly diagnosed Riluzole-naïve ALS subjects to clinical trials. The big question the consortium is trying to answer is: what is the importance of the innate immune system in ALS disease progression? A phase IIa randomized, double blind, placebo controlled, multicentre trial shows that recruiting de novo patients naïve to Riluzole is challenging, but feasible. Nathalie Braun from Kantonsspital St. Gallen in Switzerland presented results of the rerun of an Edaravone trial with new inclusion criteria, discussing the use of the El Escorial laboratory-supported probable criteria. 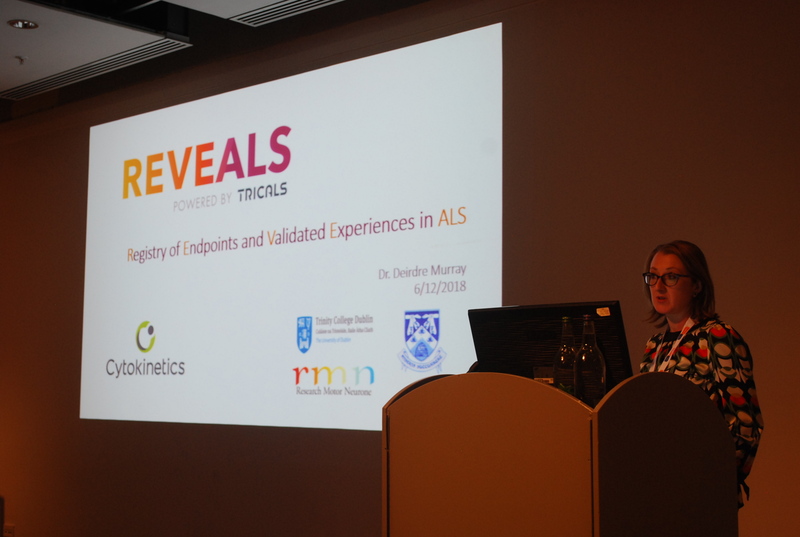 Deirdre Murray from Trinity College Dublin followed with an update on REVEALS: Registry of Endpoints and Validated Experiences in ALS. The aim of this multicentre, longitudinal study is to compare various respiratory functional tests. Magdalena Kuzma-Kozakiewicz from the Medical University of Warsaw in Poland ended the programme with a comparison between Germany and Poland in the attitude of neurologists towards end-of-life care in ALS. 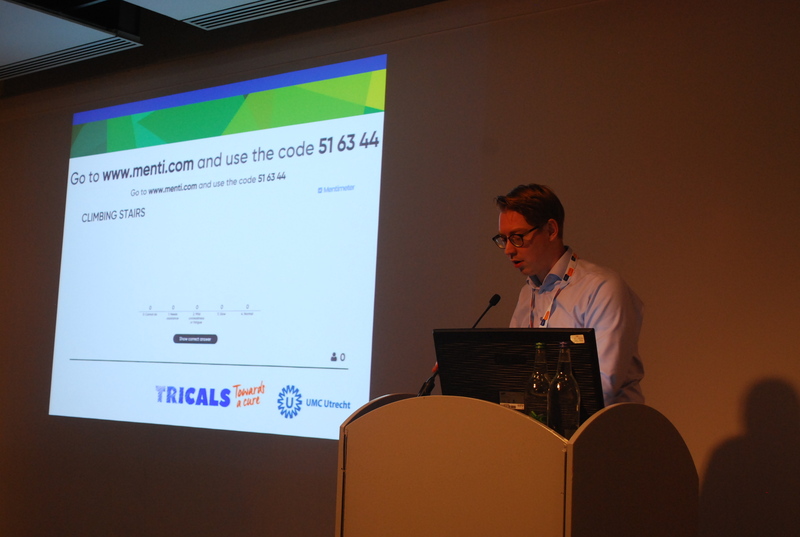 After a short update on Project MinE by Professor Jan Veldink from the UMC Utrecht in The Netherlands, Professor Philippe Corcia from the University Francois Rabelais of Tours in France closed the meeting with an invitation to the ENCALS meeting 2019 in Tours.